Multi-platinum selling artists Fall Out Boy and Wiz Khalifa announced today their 40+ city Boys of Zummer co-headlining tour in support of their respective hit albums American Beauty/American Psycho and Blacc Hollywood. The summer tour will hit Austin360 Amphitheater at Circuit of The Americas on Sunday, July 26, 2015. 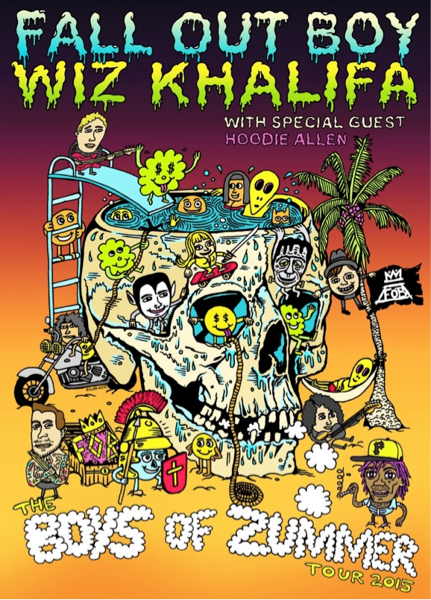 American rapper, singer and hip hop artist Hoodie Allen will serve as special guest on the tour.